I had a great week with work going quickly and meeting lovely people. I also managed to cram in a few films as well. I watched Parade and My Little Sweet Pea to get my reviews of those films written. I watched a few other films including Cold Weather (again) and Italian horror Something Creeping in the Dark. 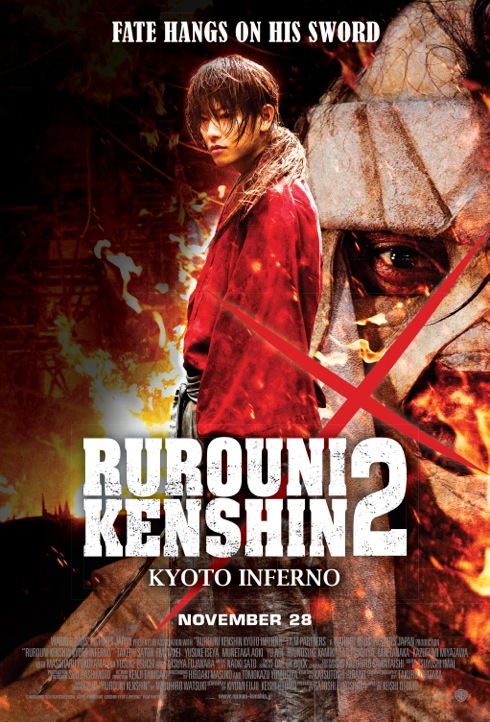 I published a review of Rurouni Kenshin: Kyoto Inferno. I have a review for Patema Inverted and then Parade in the works and I hope to follow that with The Light Shines Only There ready to rock in my one post of the week format for reviews. 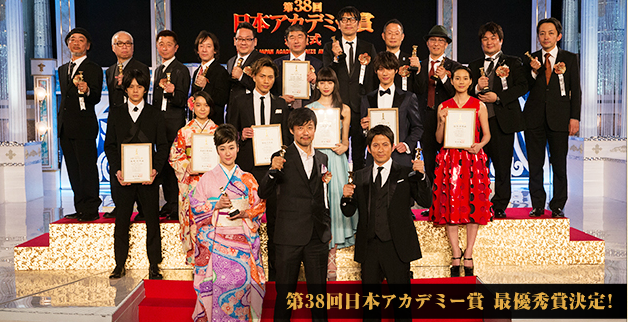 I also published the results of this year’s Japan Academy Awards. The World War II drama The Eternal Zero was the big winner at the 38th Japan Academy Prize award ceremony taking Picture of the year and best director for Takashi Yamazaki. Another big winner from that film is Junichi Okada who won Best Actor for his portrayal of a kamikaze pilot and he also won best supporting actor for the historical drama, A Samurai Chronicle, becoming the first male actor to get two Japan Academy acting awards. Not only that but he won Most Popular Actor. Rie Miyazawa’s performance as a bank employee in a lurid affair in Daihachi Yoshida’s drama Pale Moon managed to net her Best Actress in a category full of excellent competitors, while Haru Kuroki took best supporting actress. The Eternal Zero also took many of the technical awards such as lighting and cinematography. Looking at the nominees and winners, one cannot help but see it as a pretty dull line-up of films designed not to offend anyone (particularly those of a conservative nature). Hello once again dear audience! I posted the weekly trailers like usual last Saturday and totally forgot it was Valentine’s Day! A belated Happy Valentine’s Day to you all. Yesterday I got some very lovely Studio Ghibli-related gifts from a kind and dear friend who visited the exhibition in Paris. They were an unexpected surprise and I love them! So thanks, if you read this! What a great week! 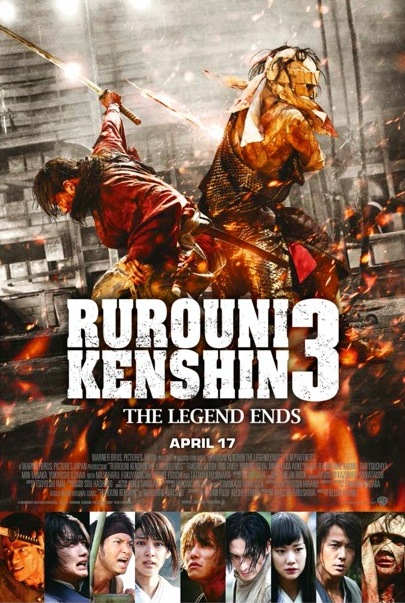 This week I posted about the UK release of Rurouni Kenshin: The Legend Ends (the release date has changed so I updated the original post) and a review of The Devil’s Path something that has been on the back-burner for a while, and a preview of the Japanese films at the Glasgow Film Festival. Expect a review for Rurouni Kenshin: Kyoto Inferno to be posted next week because I am finally editing that beast down from 2000+ words. 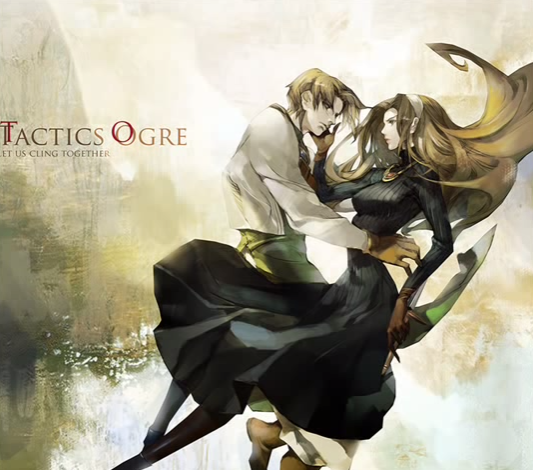 I’m writing up my review of the two films I saw at this year’s Japan Foundation Touring Film Programme and I am currently making my way through Tactics Ogre: Let Us Cling Together on the PSP and enjoying it (when I should be writing)! Like Peter in Dawn of the Dead, I’m leaving things to the last minute! 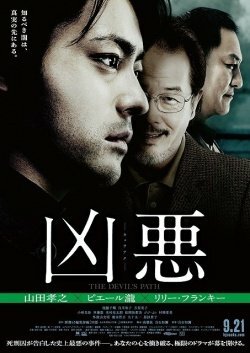 The events depicted in The Devil’s Path detail a series of shocking crimes that occurred in a mundane town in Japan. Thugs targeted isolated elderly people or each other to extort for money, often using violence. The police missed the seriousness of the situation due to the surrounding circumstances of the victims. It was not until a journalist at the Shincho45 editorial department made these crimes public in the nonfiction novel “Kyoaku-Aru Shikeishuu no Kokuhatsu” that the police arrested the culprits. Hello dear readers! I hope I find you well! I haven’t been up to much except work and watching films. I have a huge backlog of reviews to whittle down for my own site and I’m spending a lot of time going through them. 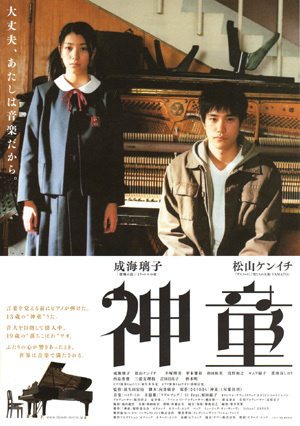 This week I posted my review of Shindo (2007), a film I saw over a year ago at the Japan Foundation Touring Film Programme. I have watched it a more than few times since I first watched it and so to get the review posted, I watched it twice! I also watched Predator (1987), Predator 2 (1990), Gentle 12 (1991) and Fallen Angels (1995). I have plenty to do so I’ve cut out some anime and television shows. I need to get back into regular Japanese practice and writing more things. 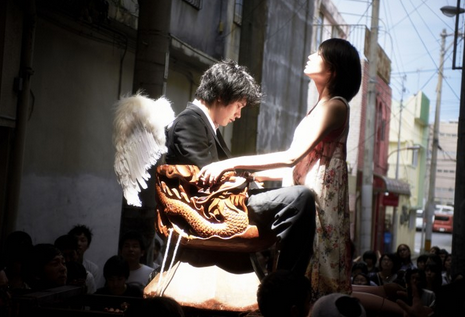 Japanese cinema has a unique category of film known as seishun eiga (youth films or coming-of-age films). These are a pretty common in Japan because many are made to serve as a star-vehicle for some young up and coming talent. Shindo stands out by taking the audience into the world of its main protagonist and lets us experience things as she does. 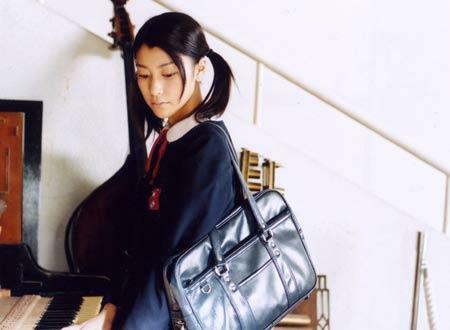 Shindo can translate into genius or prodigy and the prodigy here is Uta Naruse (Riko Narumi). Her name means song and she is a musical prodigy, a gifted pianist. She could read sheet music before she could speak and can play complex pieces from memory. This week I have been in work every day but that has not stopped me from writing more things for the blog, which may or may not be a good thing because you might be sick of my ramblings. Said ramblings have included a round-up of the Japanese films at this year’s Berlin International Film Festival and I also answered a series of anime questions which give some background to my background in anime. I also did a quick review of the first episode of the anime Honey and Clover. I enjoyed writing these posts so much I wanted to write a review of Biomega and review Mamoru Oshii’s films! Films? I watched plenty of them this week! I was in London watching two dramas My Little Sweet Pea (2014) and Bolt from the Blue (2014) last Saturday as well as popping into the Japan Centre and buying a lot of chocolate and the Royal Academy to see the Rubens exhibition. I came home and watched the western Sweetwater (2013) and then Predator (1987) and the last two Berserk anime movies as well as many clips of the wonderful Philomena Cunk.